Mangos are a revelation ! I have abandoned lettuce altogether and most nights make either a kale or mango salad to go with our main course. 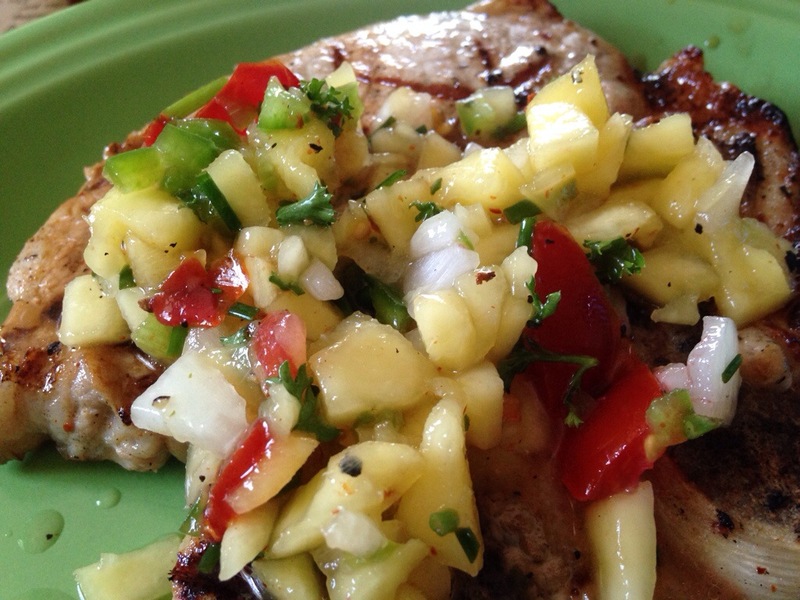 This was a twist on the mango salads I’ve been creating (recipes coming soon) and was fantastic on simple grilled pork chops. Best if it sits for a few hours first but if all you have is 20 min it will get the job done! Use a mango that is just barely ripe. Dice mango and veggies and add other ingredients. Refrigerate. Serve with tortilla chips, alongside fajitas, on top of any kind of grilled meat, or throw on top of a green salad for something special. Don't miss new recipes! Follow "Cooking with Violet"